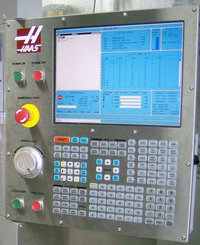 Following cnc programming code shows the use of G72 bolt hole along an angle. As the names states G72 G-code makes it very easy to drill/bore/tap evenly spaced hole along a specified angle. Canned cycles G73, G74, G76, G77, or G81-G89 can be used with G72 bolt hole along an angle command. 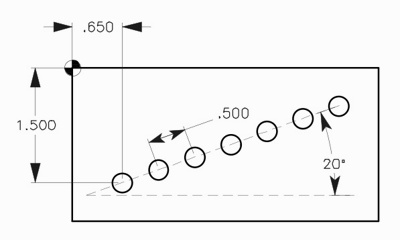 J – Angle of holes from three o’clock, 0 to 360.0 degrees CCW. N50 G81 G99 Z-0.45 R0.1 G72 I0.5 J20. L7 F8.